What ails Mother Earth? The answer can be found in the propensities of man, her most gifted, but alas, also her most prodigal son. The world today may look to be the oyster to modern man, with his faculties of creativity, inventiveness, and enterprise. But looks are deceptive. Man has harnessed science and technology and also the new science of economics to bring about unprecedented prosperity, growth, and amenities of life. All this, however, has come at a grievous cost to nature - in the anthropogenic maladies that we, in our reckless quest for "progress" and comfort, have inflicted on the mother planet. Climate change and global warming; rampant exploitation of non-renewable fossil fuels belching out greenhouse gases; retreating glaciers; growing water, air, and noise pollution; ocean acidification; ozone depletion; dwindling forests; imperiled biodiversity; and the growing menace of e-waste - all are stark symptoms of the seemingly inexorable degradation that human activities have wrought on the once-pristine environment of this living planet. We do not seem to learn from the fearsome records of myriad disasters and the five great extinctions that had stricken the earth in the past. What is worse, we seem to be heading mindlessly toward our collective doom of a sixth extinction, this time threatening to be caused by human-induced climate change. Time is running out, but all is still not lost. Initiatives have already been launched by conscientious world bodies, conferences, and protocols to fight the hydra-headed monster of environmental pollution. 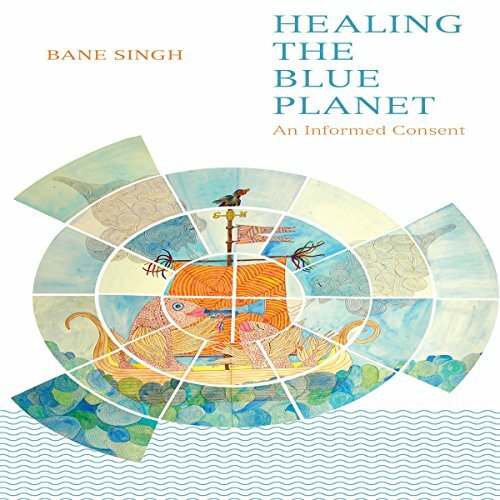 What is needed is a broad-based general will - an "informed consent" by us, the conscious earthlings - to heal our beloved blue planet. The symptoms, the diagnostics and the line of cure, are all presented in this volume of engaging and comprehensive analysis by an ecologist who has embraced "Save the Earth" as his mission in life.